OK, here we go again. I’ll keep saving this time. If it doesn’t work God does not want me to tell you this story. So as you know I lost my luggage. Here then is the story of that fateful Saturday and really, truly, what I went through. OK so first thing you need to remember is …. still sick. Seriously that guy did a number on me and have another blog in me about how ill I am as I think I may have turned into the walking dead and they forgot to tell me. For the moment, just know that I cannot walk anywhere without sweating buckets. There’s more but it can wait. We are catching the bus from Disneyland Paris Hotel to Charles De Gaulle Airport at 2 pm on Saturday. As my parents are rapidly aging before my eyes, this means, in their mind, that we have to be there an hour early so as not to miss the bus. Thus it is my parents are at the Disneyland Hotel waiting for the 2 pm bus at 1pm. Even the bag carriers at Disneyland are confused as to why they are there and come out and ask them if they want their bags moved yet. The porters look confused when you say your bus isn’t there for an hour. Eventually the bus does arrive and takes us for the 90 minute trip to Charles De Gaulle. When we get there the driver, who happens to be Asian and doesn’t speak English or French successfully, leaves all the customers to get their luggage from the hold. It is a free for all. It is conceivable at this point someone took my luggage here. Now my father is getting the luggage from the hold. Why am I not doing this? My parents have propped their luggage smack bang in the centre of the entrance to the airport and are being abused by the French. Probably a good thing not to know French at this point. I’m moving the luggage from the doorway as the luggage is pulled off. We pile the luggage on the trolley and there is too much for the one trolley and it all collapses onto the floor. So we’re distracted and there is no actual recognition that my bag is missing yet. I am drenched in sweat and decide on the long walk to the British Airways desk that I need to clean myself up in the toilet. I go to the toilet for big jobs when a tidal wave of diarrhea comes spilling under the cubicle next door. There comes a French voice from next door apologising, I presume, but I could not question him as to why he was unable to use the bowl. Instead I skeedaddle holding my breath before the tide hits my feet. We get to the checking for British Airways and the check in lady requests that we show her our hand luggage. THEN we realise the bag is missing. And then it all kicks off. My Dad immediately becomes “sick”. Certainly while it was my Dad not getting the case from the hold that caused this, I don’t blame him for the loss of luggage. Even if it wasnt for the fact that the bus driver should have been getting everyone’s luggage, it was a mistake. An annoying mistake that has impacted severely on me but a mistake nevertheless. Certainly I was annoyed but not angry that the bag had been misplaced. However Dad decides at this point that he is ill. When my Dad is ill he speaks…. really…. slowly….. and…… sounds…….. as…… though…… it…… is….. a….. struggle….. to……. speak. This is not annoying AT ALL. So we try to sort out my Dad at the same time as somehow work out how to contact the bus company and get the bag back. My Dad sits down and recovers (not quite sure from what) while I try to work out the phone systems in France. My mother goes off to try to find the bus company details. I honestly was doing the phones ok as the phone insturctions were in both languages however, for some reason, I could not get the phones to work. Not even close. Dad…… is……ok…. and the plane is beginning to board. I go off to find my mother who has disappeared off the face of the earth. I am running through the airport trying to find her or an intercom system that could contact her. By this time, as you will recall, Charles De Gaulle Airport is VERY long indeed and I am swimming in sweat. After about twenty minutes of searching I find my mother who has gotten a phone number off someone where I can contact the bus company. The number is 17 digits long. I have no idea which country I would be ringing if I used it. I did know that the country code was not France at the very least. So we make a plan to contact the bus company once we are in the London. We go to the plane and Dad…. is……still….. really….. sick…. and so I am carrying the luggage. We get to the plane and the air stewardess welcomes my Dad onto the plane. My Dad immediately recovers and, normal voice, thanks her and bounds down the aisle. At which point I could kill him. My computer was dying and I had no way of recharging it. I wrote the entry that upset everyone at the end of that day. I tried to use the hotel television internet to keep in contact but it was insanely annoying. It would take me fifteen minutes to write a sentence. I was going to kick the television in. I bought the cord for my computer when it became clear I was not going to find my case. The problem with this situation is that it is the gift that keeps on keeping on. I know my Dad is not to blame however he couldn’t have shafted me more if he tried. Tragically there is probably more but the joy of losing stuff is remembering bits you’ve lost as you go along. So it can be annoying one more time. And so my stay in London was a complete loss. I spent the time in my hotel room charging up huge bills to try to contact both Disneyland Paris and the VEA bus company. Waiting for people to call back who didn’t. I managed to go to The Mousetrap and the Doctor Who exhibition but that was it. I’ve checked the insurance policy and there is a clause they wont cover computer/ camera gear lost in the cargo hold of transport. I’m not sure if they will cover this at all. I’ve contacted the Bus company for their loss of content policies and havent heard anything yet nor do I suppose I will. I will battle with the insurance company. I have spent my time trying to replace items, such as the phone and computer power cords. It’s all been a big pain in the arse really. I would suggest people do not use the VEA bus company should they travel from or to Disneyland Paris or the airport. The company was, in my opinion, incompetent in addressing this issue. I lost the case on Saturday. I wasn’t informed that they could not find it until Wednesday. I remain waiting for response to my request for clarification of their missing items policy. Ah well, not to worry. Things are replaced and no one was hurt. I am just over it. One more in a long round of being shafted. Oh well. Tomorrow the Doctor Who Exhibition which will be far more jolly. The park must base much of its economy on disposable items. The type of item that, when you buy it in the midst of the fun of Disneyland looks fantastic, when you get it home you think what were you thinking. For example, a Minnie Mouse ear headpiece cost ten euro and 50 per cent of the females in the park had bought one. While that’s charming when you are three, when you’re thirty the chances of wearing it to a social occasion outside of the park are pretty limited. Balloons also have built-in obsolescence. The number of balloons that go drifting off to the heavens can’t be that much of a coincidence. The attention to detail in the theming of this park is incredible. The cast members’ costumes, for example, are simply beautiful in some instances. (Phantom manor, Space Mountain 2) Quite honestly I’d love some of their clothes. Plus the design is clearly European, i.e. think warm. Think very warm. Equally the theming in the areas is impressive and unique to Disneyland Paris. 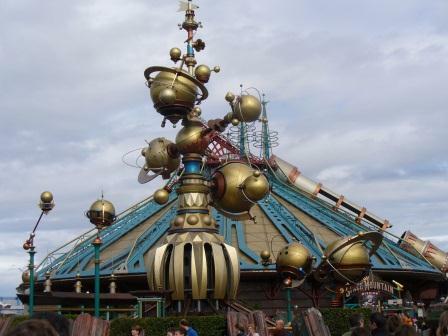 Tomorrow land is completely inspired by Jules Verne; Fantasyland is influenced by olde European fairy tales. Both look beautiful. Adventureland is less impressive though it amuses me to see people take pictures of the polystyrene mesas. That is true of Disneyland, the other park here; Disneyland Movie studios is unbelievable in it’s completely rubbish theming. Think artificial backdrops, loads of “shows” rather than rides, dreary eating areas, the different areas merging into one without any unique identity (e.g. a Cars ride is opposite a finding Nemo ride is next to Toy Story Play land.) When I take over Disneyland I am revamping this park completely. While unbelievable attention is paid to the theming, the same cannot be said for the food services. Any food eateries in the park serve cold, reheated, expensive crap. It’s wonderful for the diet as you simply don’t eat however this is something I again am changing when I rule this place. How each eateries works is you place an order in front of the food preparation area, are then given a receipt which you hand to the dull-witted but exquisitely tailored cast member who then grabs the been siting there for ten minutes food products and places them on a tray for you. While he wrestles with the complicated concepts of getting both a lemonade and coke zero from the dispenser, the food sits getting colder. By the time they achieve each drink item all the food is cold. So cold. That’s completely being revamped when I am king here. Fascinatingly, a fun game to play is spot the country with the crowds. Italians are incredibly easy obviously due to their skin colouring; the French tend to be stylish in clothing and, ducks for cover, sort of pushy in lines. The British are tanned. Clearly not having learnt the terrors of the sun bed the British roam this place like tanned leather crocodiles. Some skin cancer doctor will be rolling in it in a few years. I am a walking Chernobyl disaster. AS you know I have been sick all week, which has meant that while everyone has been dressing up in their winter warms against the alleged cold, I have been wandering around in a short sleeve shirt and wondering if they would mind if I took that off. It’s nice when people gravitate to you in lines as you warm them. A little girl told me, “Monsieur, you are so warm.” I’m not sure that is a good thing. Today when the sun came out I became freezing and had to wear my bitching jacket. People have been looking at me oddly all week. Then welcome to my life. I’m not sure how it developed but you could drop me in the middle of any Disneyland and I could tell you the quickest, easiest access to any ride you mentioned. I realized this today as I cut off ten minutes walking to the Pirates of the Caribbean Ride (still closed and the only ride my parents haven’t done this week. They are having conniptions.) I am not sure this is a translatable skill though. Most Cast members only get paid crap wages and I can’t imagine anyone else paying me for such information. Sadly this unique sense of navigational acumen does not translate into real life. If you stuck me on a street and spun me once I would have no idea where I was. Normally I have the directional sense of a lemming. 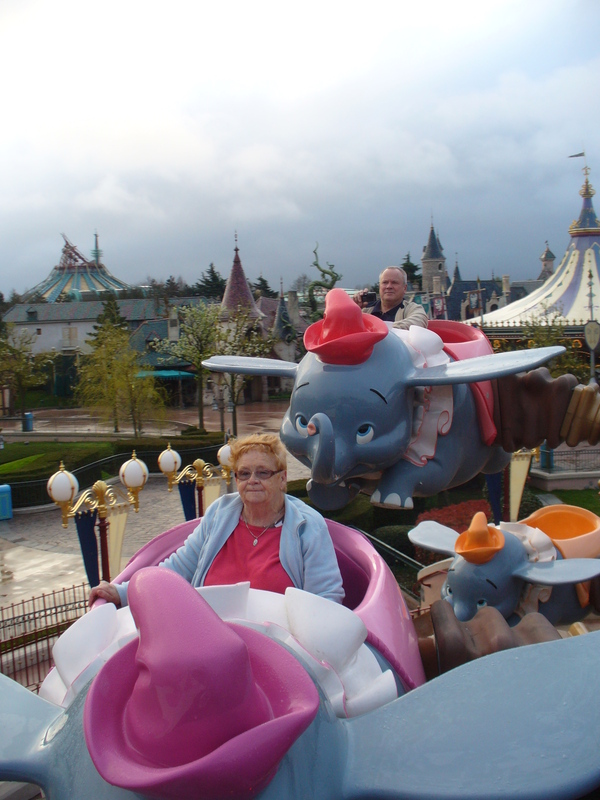 My mother’s favourite ride has been the Buzz Lightyear ride. Essentially you are given a laser and have to hit targets and score points. My mother then buys photos of her or Dad or me shooting at targets as the Buzz Lightyear game is, in fact, a massive money spinner. Particularly when my mum is here. I have been made into a cup as a result of Buzz Lightyear ride. My Dad’s favourite ride is Space Mountain 2 which is a roller coaster in a darkened environment with asteroids spinning around you, etc. My father has been on it 6 times. He has not had his eyes open once. He asked me “Did we go upside down?” Bless him. It is my desire to get a mug of my dad on Space Mountain 2 WITH his eyes open before we leave tomorrow. Thank you for all the wonderful comments re the post Duets yesterday. That it touched everyone so well was indeed a wonderful surprise. Thank you. Perhaps it’s because I am still full of lurgy and feeling sorry for myself that my defences are down but I am misting up all the time here. I would never have thought this park would kill me so much on daily basis but each day I have witnessed something incredible that has had me reaching for the tissues. It’s probably that everyone’s defences are down and people are prepared to have a wonderful time no matter how foolish they may look. Thus it is nothing to see mothers wearing Minnie Mouse ears, fathers wearing Stitch hats or Goofy cowboy hats; all the while looking like fools while their children love them for it. The amount of unbridled joy and love you witness between child and parent while waiting in line for a ride is unparalleled. No matter how big a cynical corporation Disney is, that it can generate that response in people is pure magic. However two moments captured me completely this week. “You know my name, don’t you? It is Mulan.” The boy nods despite his constrictions. “Do you know my friend, Mushu? He is a red dragon who blows fire in his breath. He is magical.” The boy knows Mushu too. He is smiling so wide, his face looks so happy. The boy starts to drool slightly from the corner of his mouth and without hesitation, the cast member uses his cloth and wipes his mouth, all the while smiling and speaking to him. The boy is shaking with delight. The cast member speaks softly now and grasps the boy’s hand tighter. His parents begin to cry. I leave. Something in my eye. Today I was lining up to see Buzz Lightyear. My niece is infatuated with Toy Story and I get uncle points for having pictures taken with celebrity cartoons, no matter how stupid I look doing so. To have your picture taken with Buzz you line up like a lemming and wait patiently if you are a 45-year-old man, less so if you are a three-year old boy. I am next in line when the procession of people and photographs stop. A girl in a wheelchair is driven to the front of the queue. No one minds. She is physically handicapped, slightly less contorted than the previous boy but nevertheless significantly impaired. She is able to say Buzz, but that seems to be her only word. Buzz walks up to her in her wheelchair and takes both her hands. She stands up and, with his support, walks towards the photo area. She is beaming with accomplishment. He stops and kisses her on her hand. She is totally smitten, as is her audience. Then Buzz lifts her up, pulls an arm wide and waltzes with her. Around and around. She is squealing with delight. When he finishes their dance, she hugs him so, so tight. He returns to her wheelchair and, as she sits, he bows towards her. He kisses her on the hand one last time. Her parents wheel her away, tearing up, as she laughs and laughs. Buzz Lightyear took a well deserved break after that visit. Something in his eye. And mine. Again. Damn this place. My parents are celebrating their fiftieth wedding anniversary. My Father is celebrating his 70th birthday. This makes my Dad 19 when he got married and 20 when he had Andrew, which is astoundingly baby like. 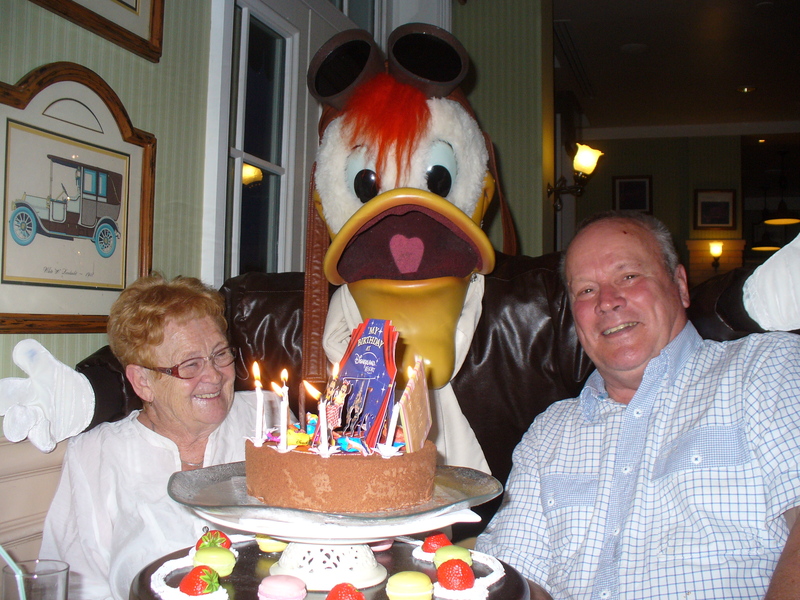 Their request to celebrate two momentous milestones is to come here, to a Disneyland and stay in the Disneyland Hotel. (If I am truly honest, if I were to reach 70 and/ or 50 years – unlikely unless I meet someone today and live till 95 – I would ask for something else for a present. But that’s me and it’s not my moment.) So here we are in Disneyland Paris for the week and the parents are in heaven. I let them be yesterday as I was feeling wretched and they skeedaddled off, systematically riding every ride in every land. Shopping till they dropped. My nieces have that many Princess dresses and accessories now that we are going to have to make a separate post as we are way over luggage. Every niche of this park has been explored by them. They are exhausted. What impresses me about my parents is there is no ride they will not attempt. Space Mountain 2, which is awesome and has two inversions, Indiana Jones, runaway mining cart roller coaster with one inversion, Big Thunder Mountain, which you need to come here and try if you’ve only done the lame California one. Nothing is missed. Which is very impressive for a 71 and 70-year-old. Slap on the heart patches and away we go. They may keep their eyes closed while riding but, hey, at least they’re there. The tourist photos the rides take and then try to sell you are hysterical. Each time they are there, eyes tightly shut. If it weren’t for the fact that the photos are so expensive we could have a record of every ride ridden, eyes wide shut. Ahhhhh, memories…. Yesterday was what we refer to in the mental health business as A Bugger, thank you very much full moon. So I am blaming that for the incredible Nigel moment that I had. As explained yesterday I am attempting …. attempting being the operative word… to get my parents from Zürich to Marne-la-Vallee Chessy (amongst other tasks but this took forever). On paper the train from Zürich arrives at Gare De l’Est and to get the train to Marne-la-Vallee Chessy one needs to get to the Les Halles Station (trust me, you do) and carry on to Disneyland Paris on the A4 line. This is indeed lovely but, for the life of me, I could not work out how you got from Gare De l’Est to Les Halles. 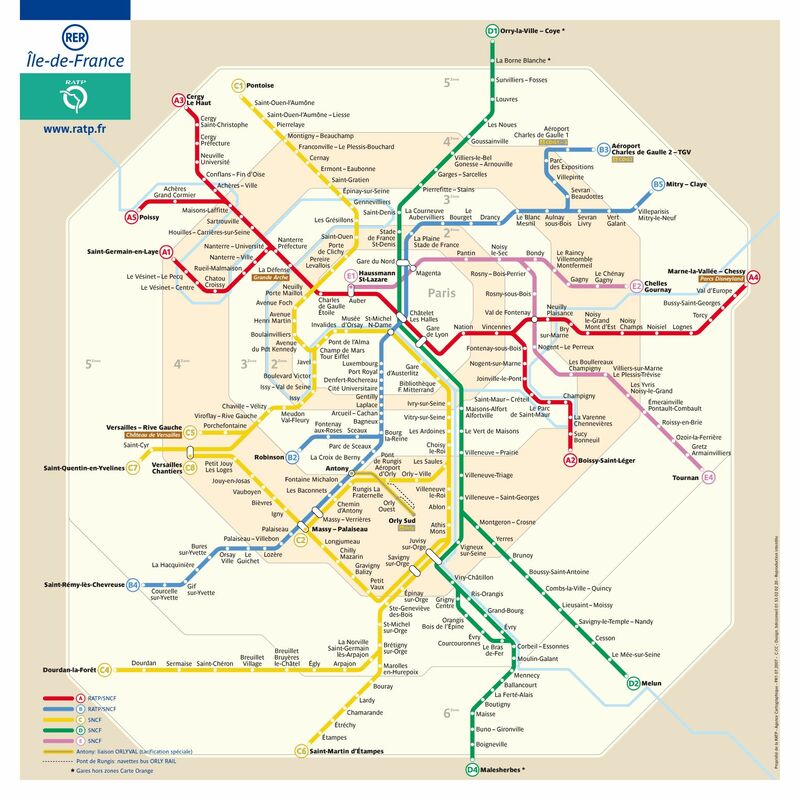 In fact, on paper, Gare De l’Est existed in a twilight zone part of Paris that wasnt connected to anything, despite it having a heavy internet presence and being one of THE major connection points in France. I spent HOURS (accumatively between calls) trying to work out how this existed in relation to a station that on paper looked as though you could skip there. Take a look and you do better. A clue: it’s right next to Gare du Nord. Nope. Somehow my parents were arriving at a train station that Paris refused to acknowledge existed let alone connect them to something they could go and see Mickey Mouse on. I scoured the internet for AGES. AGES and AGES. And then the stunningly simple penny dropped. There are two maps for two services. *I don’t really. It is true what they say about French lovers. Relations in the United Nations that is the populace of this theme park broke down a few times over the last few days, in much the same way as the real United Nations. The most spectacular was a very large Frenchman and a very large Englishman come to blows outside of the Skitch ride. Much macho posturing, fists were raised and it all got really ugly in front of the kiddiewinks. All of this was due to the French family pushing in front of the English family. Annoying, it is agreed, however pullease…. Examples to the children please. As you know I am here for the rides. Best ride bar none was the Space Mountain ride here. It is themed ala Jules Verne and includes a 0 to 60 mph launch tube which goes up through the giant Jules Verne telescope. Good fun and you get off genuinely dizzy. One of the best things was watching the punters stagger off the ride. It is incredibly crowded. Nicola, this would be your idea of hell and, on occasions, was mine as well. While I may be cynical towards the Disney Empire, it’s not often you see parents spontaneously engage with their children and act like complete fools. You see parents dance with their children here, sing songs to them, generally act like big children themselves. The children loved it, of course. Obviously I could be completely mistaken and parents do this all the time with their children however I do not think so. And, certainly not so publicly. It is ridiculously overpriced here. Even for Disney, they are taking the mickey. Heh, pardon the pun. A delightful Irish 11 year old very nicely let me know that the drink I was quaffing in the bar would have cost a good 3 pound less in Irish pubs. God love him. And nothing like perpetuating the stereotype of Irish people…. How does an 11 year old know bar prices? Most of the rides are indoor, unlike their Californian cousins. This is because it snows here, though sadly, not while I was here. Today however was a bracing + day and I wore a second layer for the first time since coming to Europe. It is exhausting here. I am sure a pedometer worn from day to end would indicate a half marathon. Went to a ghastly tourist exhibition this evening. A Mickey Mouse Buffalo Bill rodeo “spectacular”. Evidently the West Was Won when Mickey helped the French discover Champagne…. or something. I had stuck cotton wool in my ears to stop my brains seeping out. I’m back in England tomorrow and off to the States a day later. Normal services will be resumed for a day. Then Who knows!